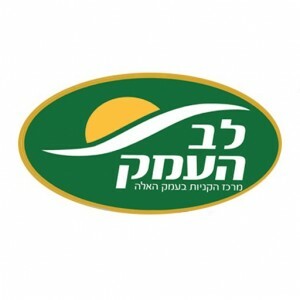 The first place for Lev HaEmek Commercial Center in Modiin including current local deals! Always up-to-date with the latest information. 10 Dog Snacks for Only 100 ₪! 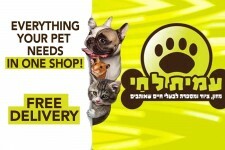 Special treat for your dog: 10 dog snacks for only 100 ₪! Come and visit! 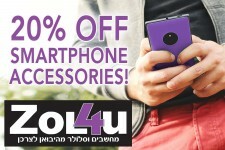 20% fixed discount for ModiinApp users on all smartphone accessories all year round! 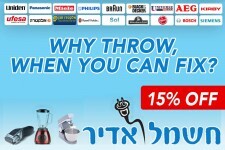 Part of the app's category "Fixed Discounts All-Year Round"". *Valid on every transaction - no duplication of offers. 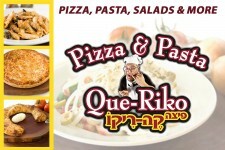 Birthday party deal at Que Riko! 10 family size pizzas and pack of 40 Tropit juice packs - now for only 299 ₪! Call for more information! * No duplicate deals. Washing, ironing, dry cleaning. Cleaning blankets, carpets, wedding dresses and designer clothes. Alteration services. Ironing for 6 ₪. Fitting multifocal and contact lenses, comprehensive eye tests for children, including alignment. Tests for DMV, stocking a variety of sunglasses, preparing glasses on the premises. Courteous and professional service. Run by Casponet. Located outside the store 'Sweet'. Available only during store opening hours.